This sheer design is perfect as a daring alternative to an evening dress. 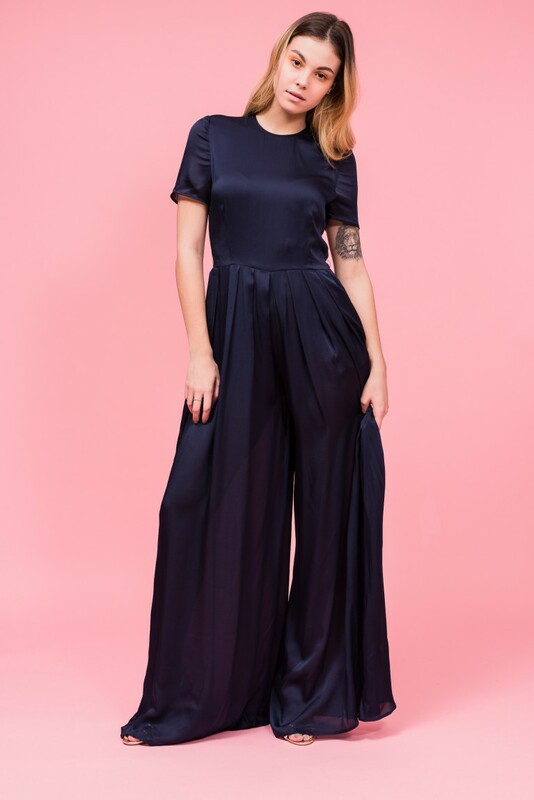 This floor length jumpsuit nips in the waist with a lose belt and has a partial concealed zipper fasting along back. Emphasis the wide leg with sky-skraping heels for an effortless chic look.